* The Battle of Aliwal took place on 28th January 1846 and saw the forces of Ranjodh Singh Majithia battle against those of Harry Smith. In 2017 the Sikh Museum Initiative based in Leicester undertook a major exhibition looking at the often-neglected Anglo Sikh Wars of the eighteenth century. These highly contested battles saw the Sikh Empire in conflict with the East India Company between 1845 and 1849. The exhibition which took place at Newarke Houses Museum, Leicester was funded by the Heritage Lottery Fund and supported by Leicester Museums service. It highlighted a number of relics and artefacts supported by new technologies such as 3d modelling and augmented reality-it was the first of its kind in the city. 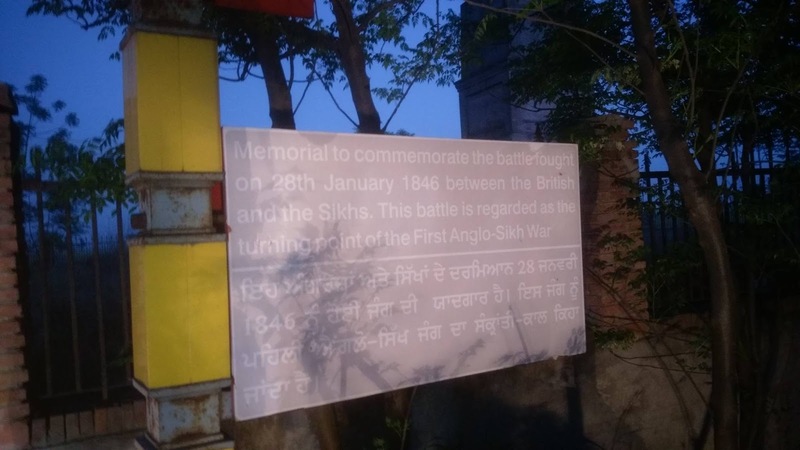 In a recent trip to the Punjab, India, the Director of the Sikh Museum Initiative, Gurinder Singh Mann visited some of the battlefields including those that at Buddowal, Aliwal and Sobroan. 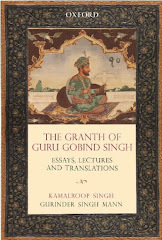 He also gave lectures at Fatehgarh Sahib, Chandigarh and Amritsar on the Anglo Sikh Wars project and the importance of using new technologies. Each of these areas are renowned in British Military circles and regimental museums across the UK. It was at Aliwal, that the villagers of the area were impressed to learn about the important Anglo-Sikh history uncovered as part of the project. Mann visited the Sikh Memorial at Aliwal which was raised in 2015, this was dedicated to the Sikh soldiers who died in the battle. Other memorials had been built after the wars by the British but the local community got together and were able to get backing for this important Memorial. The British memorial has seen better days, as the top portion of that memorial no longer exists. The Award is dedicated to the SMI team and volunteers: Raj Mann, Kartar Singh, Taran Singh, Jasmohan Singh Obhi and many others.